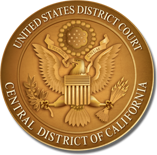 The United States District Court for the Central District of California has created a “Pro Bono Panel” of private law firms that have volunteered to make attorneys available for appointment to represent pro se parties in Central District cases. An attorney appointed by the Court to represent a party pro bono may incur significant out-of-pocket expenses for experts, depositions, and other fees paid to third parties during the course of the representation. The Court has therefore adopted procedures by which a Court-appointed attorney providing pro bono representation may obtain reimbursement for such expenses. Any attorney appointed by the Court to represent a previously pro se party in any civil case pending in the Central District (“Pro Bono Attorney”) may seek reimbursement pursuant to this policy. The Court will reimburse covered out-of-pocket expenses to the extent they are reasonable, necessary, and otherwise not recoverable, as set forth herein. The appropriateness of reimbursements will be determined on a case-by-case basis. Reimbursable out-of-pocket expenses made to third parties for services include, but are not limited to: service of process, filing fees, expert consultations, witness fees, interpreter services, photographs, and deposition costs not reimbursed pursuant to the State of California’s Transcript Reimbursement Fund (Cal. Bus. & Prof. Code § 8030.2, et seq.). Depending on the circumstances, fees paid to copy services for the production of documents during discovery may or may not be recoverable. Internally generated costs are not reimbursable. For example, costs of computer-assisted research, internal photocopying and/or printing of documents, and overhead costs, such as telephone service, are not reimbursable. The total reimbursement of covered expenses should not exceed $10,000.00 per case. The Attorney Admission Fund Board has the discretion to approve reimbursement of more than $10,000.00 in a single case upon an adequate showing of good cause. A Pro Bono Attorney seeking to recover out-of-pocket expenses must complete a “Request for Reimbursement of Out-of-Pocket Expenses” form. Please review the Court’s Procedures For Recovering Out-of Pocket Expenses for more detailed instructions. Unless otherwise ordered by the Court, any out-of-pocket expenses reimbursed under this policy must be repaid to the Attorney Admission Fund when a judgment, settlement, or award of costs results in a monetary award to the party represented pro bono. This repayment must be made prior to any disbursement to counsel, the plaintiff, or any other person. The funds for reimbursement are provided by the Central District’s Attorney Admission Fund. Forms authorizing reimbursement are to be signed by the staff attorney who manages pro bono appointments on behalf of the Court (“Staff Attorney”) and forwarded for payment to the Clerk of Court.